Clergy and staff from St. Paul’s will attend the Concord High School walkout on Wednesday, March 14th at 10:00 am. (This is not a political protest, rather a seventeen minute remembrance of the seventeen souls who were lost to gun violence one month ago in Parkland, Florida.) We encourage you to join us and support the brave efforts of students across the nation who are making their voices heard. The Greater Concord Interfaith Council represents a variety of faith traditions and communities. In our work of seeking common ground we wish to support the efforts of students at Concord High School and high schools around the country who are advocating for an end of gun violence. We affirm their call to end gun violence through education, legislation and peaceful activism. Now is the time for us to set aside differences, seek common ground, and listen to the cries of our young people, cries for safety and justice at Concord High School and beyond. God’s mission is undeniable. There is an undeniable movement of thousands of youth across the country in active and undeterred response to the massacre at the Marjorie Stoneman Douglas High School in Parkland, Florida. 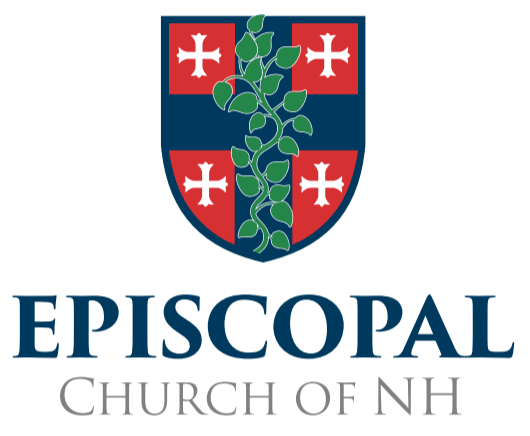 Their call to end gun violence through changes in gun legislation presents the Church of New Hampshire with an invitation to do more than offer our thoughts and prayers. I urge the clergy of the Church of New Hampshire to support students, parents of students, teachers and school staff during school walkouts planned for Wednesday, March 14th. On that day, I will join other faith leaders in a fast and offer prayers of lamentation. A Service of Lament and Call for Repentance will be made available as this day approaches. Also, I plan to travel to the March for Our Lives in Washington, D.C. that will take place on Saturday, March 24th (the day before the Sunday of the Passion:Palm Sunday). Alternatively, on the same day, there are marches being planned all over the country, including in Boston. If you are planning to attend the March for Our Lives, or know of people in your congregation who plan to attend, please let us know by replying to this email so we can coordinate our presence together. Finally, I commend to you a Litany after Gun Violence composed by our friend Bishop Stephen Lane of Maine for use during or in place of the Prayers of the People in coming weeks as you deem appropriate. Other resources for liturgy and gun violence prevention can be found on our website. With my prayers and gratitude for your pastoral presence and leadership in these times. We confess our attachment to the means of violence and bloodshed claiming that they alone can protect and save us those who wish us harm.